Geological authorities are reporting that the Sabancaya volcano in southern Peru has become active after 15 years of silence. According to information released by the Peruvian Geophysical Institute (IGP), Sabancaya has erupted several times. 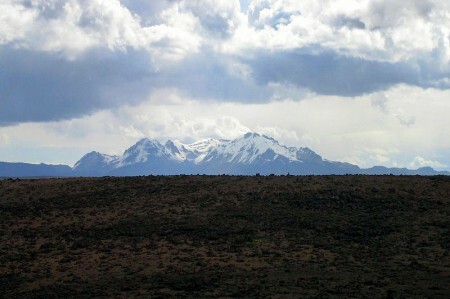 The first recorded activity at Sabancaya was in 1750, and the volcano became active again in 1784. 200 years later, in 1986, the volcano once again displayed activity. Now, the volcano is once again active, having gradually intensified since late February. Speaking to El Comercio, IGP investigator Orlando Macedo said “All this activity is part of an expected process. Before the eruption, tremors were occurring closer and closer to the volcano and the crater. However, the process is taking longer than that which we saw at the Ubinas Volcano, when everything happened in a matter of days. In the case of Sabancaya, this could go on for several months.” In addition to seismic activity, Sabancaya has also emitted plumes of smoke. Next articleWhy is Obama concerned about mercury in coal power plants but not in vaccines?